Why Is My Written Order Taking So Long? You’ve had your day in Court, the Judge made his ruling and now … where’s my order? Even though the Court has made its verbal ruling, a written order is not immediate in most cases. Most of the time, written orders can takes weeks to receive from the Court. Many times the attorney must order a transcript of the Court’s ruling, which generally takes 10 days when ordered on an expedited basis. Once the transcript is received, a Motion to Adopt Transcript as Order of the Court, along with a proposed order, is submitted to the Judge for entry. Once the Judge receives the Proposed Order, your attorney has no control over how quickly the Judge reviews and signs the Order, no matter how much begging or pleading you do. If a transcript is not ordered, generally the Court requests one of the attorneys to prepare what is called a “long order.” Once the order is drafted it is sent to opposing counsel for their review and approval. This process can unfortunately can go back and forth for days or some times weeks to “fine tune” the order and agree on the exact verbiage of the Court’s ruling. Once the proposed order is approved by both attorneys, it is submitted to the Judge for review and entry. In cases with a Pro Se Party, a proposed order is filed under Rule 121 which allows the Pro Se Party 5 days within which to object to the form of the order. If no objection is received, the Judge will sign the proposed order. No matter how many emails you send to your attorney or paralegal, or how many times you call their office, there is little they can do to get your order signed any faster once submitted to the Court. A courtesy call to the Judicial Assistant can be made inquiring on the status, but the Judicial Assistant can only inform you that the order is on the Judge’s desk for review. Unfortunately, they cannot give us an exact time or date that the Judge will sign the order. 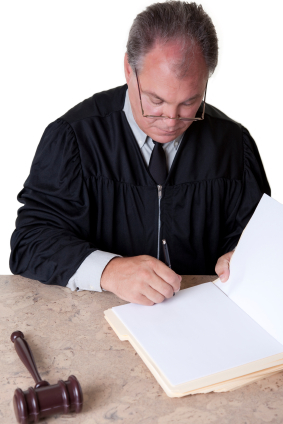 Keep in mind that a Judge or Magistrate has hundreds of cases on their docket in any given month. Each case equals an order to be reviewed by that Judge or Magistrate. They must review all these Orders in addition to their time on the bench for hearing, trials, and daily dockets.So what can you do? Be patient as your written Order will come. Remember the Judge made a verbal ruling at the conclusion of your hearing and you are merely waiting on the written form of that ruling.